Apollo GraphQL | Learn about the Apollo platform: Client, Engine, GraphQL servers, GraphQL support, and more. Replace many inflexible APIs with a single versatile query system. Decouple frontend and backend development. Ship high quality apps to more platforms faster. "Apollo will power all our customer experiences across Web, iOS, and Android." A new generation of apps requires a new approach to APIs. 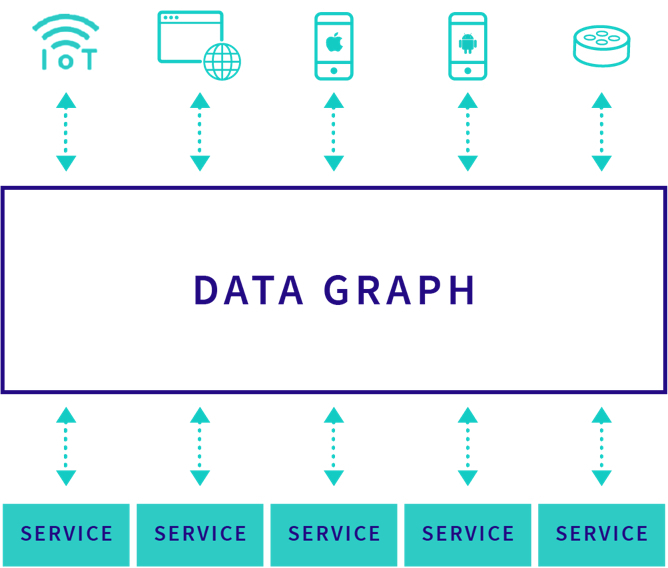 GraphQL is the industry-standard technology for moving data between modern applications and the cloud. Adopt it on top of your existing stack. Get a first GraphQL feature in production in a single sprint. Create a single, central data graph that scales across your entire enterprise and all your apps. Get a precise understanding of how your data graph is used, by whom, and when. Manage how your graph changes and what each client and team can access. We've helped many digital leaders implement GraphQL in mission-critical apps. We'll help you do GraphQL right too, consistent with industry best practices.